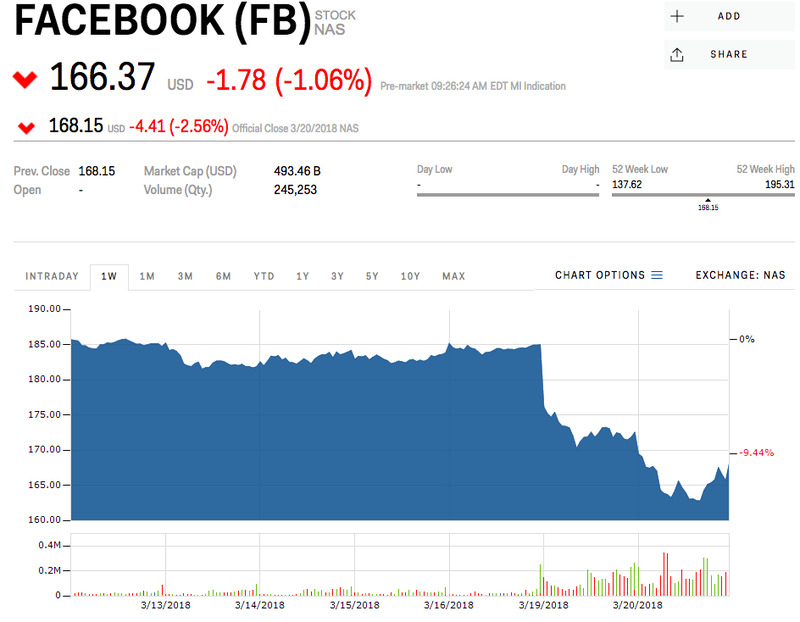 Facebook is down early Wednesday, after a tough two days where around $US50 billion has been wiped off the company’s market capitalisation. 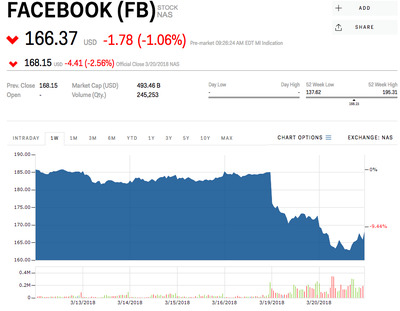 Facebook shares are down more than 2% to $US164 apiece early Wednesday. This after a tough two days where around $US50 billion has been wiped off the company’s market capitalisation. The stock dropped 9.5% in total over Monday and Tuesday, wiping out $US50 billion of market cap. The stock is down more than 9% year-to-date.